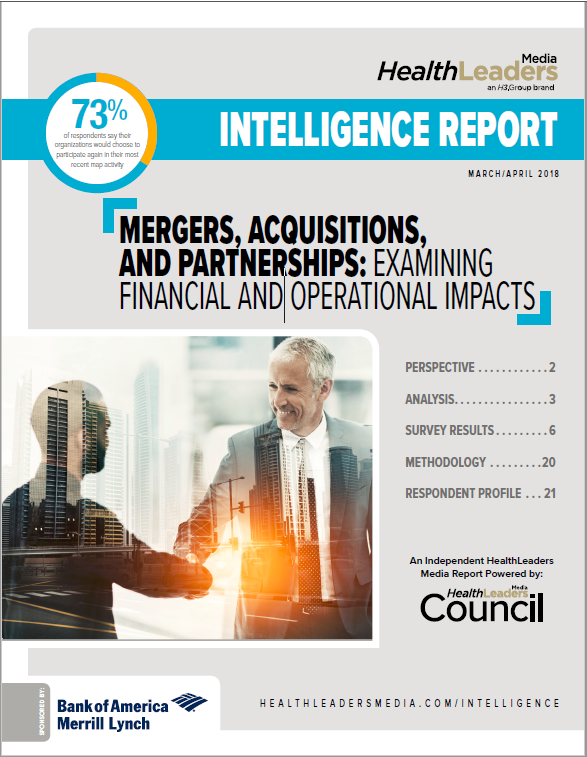 Healthcare industry merger, acquisition, and partnership (MAP) activity remains strong, with little change in momentum after years of consolidation activity. Driven by the move to value-based care and provider needs for greater scale and geographic coverage, MAP activity shows few signs of a changing trajectory. One area of inquiry about MAP that has mostly gone under the radar, however, is determining the kind of financial and clinical impacts providers are seeing from investments in MAP activity. What do operating margins and net patient revenue look like post-MAP, and has the cost of providing care come down due to greater scale? Has MAP activity had a beneficial effect on patient readmissions, HCAHPS scores, and most importantly, quality outcomes?